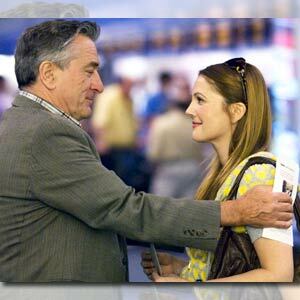 Everybody’s Fin, starring Robert De Niro and Drew Barrymore, will be screened exclusively at Ayala Malls Cinemas. A heartfelt dramatic comedy, Miramax Films’ Everybody’s Fine presents a family picture that is all too common in our modern world. Parents and siblings living hundreds of miles apart, too distracted with the stress of modern life to find time to call each other and too preoccupied with their own family and friends to find time to visit home. To be shown soon exclusively at Ayala Malls Cinemas (Glorietta 4, Greenbelt 3 and Trinoma), Everybody’s Fine stars Robert De Niro, Drew Barrymore, Kate Beckinsale and Sam Rockwell. The film was written and directed by Kirk Jones (Nanny McPhee) based on ’Stanno Tutti Bene’ originally written and directed in the Italian language by Academy Award ® winner Giuseppe Tornatore in 1990. Original music is by Academy Award winner Dario Marianelli (Atonement, Pride and Prejudice) with an original song written for the film by Sir Paul McCartney. In the film, Frank Goode (De Niro) has spent his adult life working in a local wire factory earning every dollar he can to support his family. Recently retired, he realizes that over the years he has spent too little time with his four children and that it’s time to reconnect. Frank’s late wife was always his main point of contact with his kids but he decides that it’s now his responsibility to keep an eye on them. He is inspired to invite the whole extended family for a barbeque weekend. Preparations go well until one by one, such is modern life, they all have good reason to cancel. Despite a strict warning from his doctor, Frank takes matters into his own hands and packs a bag before setting out on a journey across the US with the intention of surprising each of his children and wallowing in their success and happiness. Frank travels to see his son David "the artist" in New York, his daughter who is ’high up in advertising’ in Chicago, his son Robert ’the orchestral conductor’ in Denver and finally Rosie his youngest who is a ’dancer in a Vegas show’ but before long it becomes clear to Frank that his children are not quite as happy or successful as his wife had always reported. Returning home from a journey that ends with the revelation of a family tragedy, Frank has the insight and confidence to report to his wife that despite everything "everybody’s fine." As a father of three, director Kirk Jones connected only too well with the story of a father who wants nothing more than to do his best for his children but he also knows that parenthood can be very emotionally complex. Says Jones, "Any father can relate to the conflicting instincts that are experienced by Frank in this story; realizing he has spent too little time with his children and family because it was necessary for him to work long hours to provide security for them. It is interesting to note that with all of the technological developments in recent years, balancing work and family remains one of the most challenging dilemmas facing modern parents." Jones was also moved by Frank’s awakening to the reality that maybe his children didn’t turn out so perfectly. "I think it’s very common for parents expectations to be much higher than reality allows. Frank is only guilty of wanting the best for his children. He wanted to inspire them, he wanted them to reach the top but unfortunately the result is that they now feel they haven’t really measured up in his eyes." Everybody’s Fine is distributed by Walt Disney Studios Motion Pictures International.